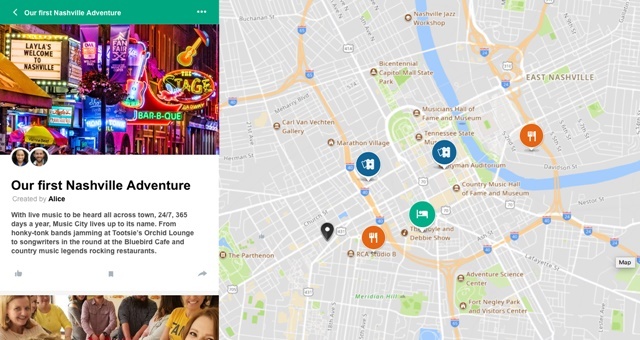 Users of the new TripAdvisor can share entire trips complete with all their individual highlights. Advice from friends, family and trusted influencers including brands and publishers can now help travellers form opinions on their upcoming holidays under a site-wide relaunch of global travel aggregator TripAdvisor. “We’re very excited to be changing travel yet again,” TripAdvisor President and CEO Stephen Kaufer said. Graduating solely from a peer-to-peer network, the new site encourages users to create an account with the site, enabling them to source trusted influencers for travel content. Incorporating deep social media links, the new site helps travellers see the places visited by their friends and family and to gauge their opinions to help form decisions on a domestic or overseas holiday. Over 1,000 brands and publishers have signed up as ‘Trusted Influencers’ including National Geographic and Condé Nast Traveller as well as prominent influencers ‘The Points Guy’ and ‘Blonde Abroad’. Users can access videos, photos, articles, reviews and guides posted by their entire network including their desired publishers. The new TripAdvisor has, in some ways, copied features from other sites including the ability to ‘Like’ and ‘Share’ content and seek recommendations on a place. Regular checking of a user’s feed will enable the ability to see the latest content posted similar to other social media networks. Nearly 30 languages are supported via the new site, which geolocates a user and puts forward the site in that country’s main language unless otherwise changed manually. Kaufer added that this was just the beginning for TripAdvisor.